The Private Equity Game has Changed for Manufacturers | Fulcrum ConsultingWorks Inc. While your experience working for a PE firm-owned manufacturer may have been miserable and driven by short term views, that world is changing significantly. More and more are investing in true operational expertise that will thrive over time. 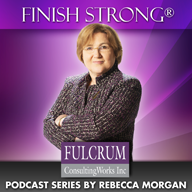 This entry was posted in Constituencies, Economics, General-Business, Mergers & Acquisitions, Operational-Excellence, Podcast Series: Finish Strong®, Strategy, Transform Your Business, Vision and tagged private equity by Becky. Bookmark the permalink.